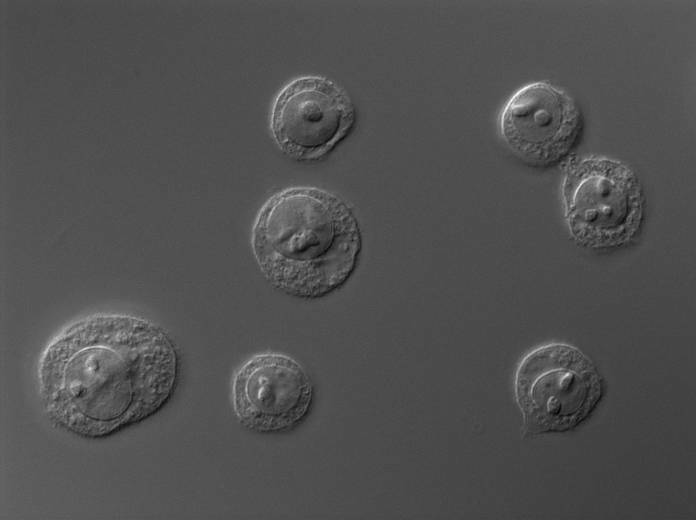 Hela cells pellets harvest in exponential phase and Nuclei are prepared from fresh cells only. The HeLa cell line was established from an adenocarcinoma of the cervix in 1952. It is the first continuous human cell line. HeLa cells are grown in sonoperfused fedbatch (cytostat) mode at a constant concentration of 5×106 cells/ml (cell viability: 93%-99%) under GLP conditions in our facility in Mons, Belgium. Cells are harvested in exponential phase. Cultures are screened for the presence of bacteries, yeast, fungi and mycoplasma (DNA amplification). NBCS used in the culture medium is certified from New Zealand origin.